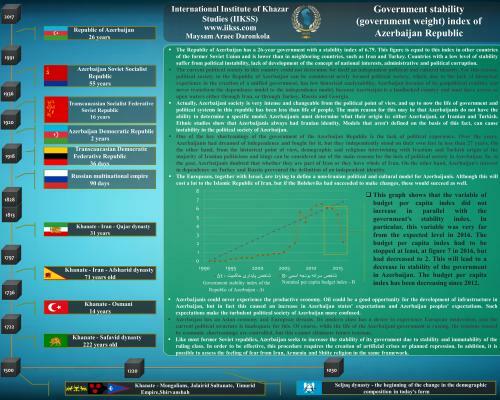 International Institute of Khazar Sea Studies (IIKSS) - While arguing that it should not be rushed to sign draft of the legal regime of the Caspian Sea, the director of the International Institute of Khazar Sea Studies (IIKSS) said that and the comprehensive agreed regime should be criticized by academic thoughts and scholars. For years, the foreign ministers of the five Caspian coastal countries (the Islamic Republic of Iran, the Republic of Azerbaijan, the Russian Federation, the Republic of Kazakhstan and Turkmenistan) as well as their deputies have been engaged for years to determine the legal regime of the Caspian Sea and delimit the continental shelf of this sea. 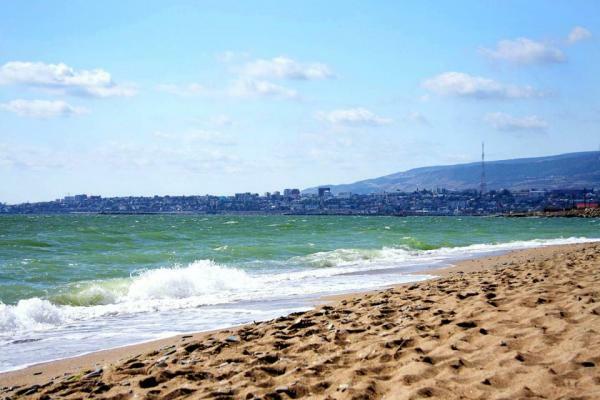 Because although the Caspian Sea is called sea, but basically is a lake and it has its own unique legal regime that should be determined by agreement between the coastal countries of this lake. What makes this legal regime hard and time-consuming is the difference of opinion among different countries, so that each country is seeking more interest from this lake. 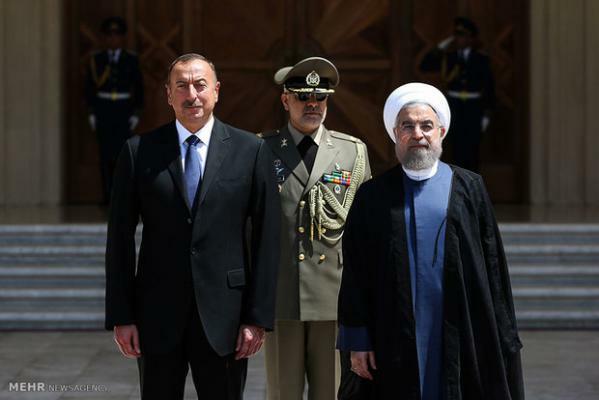 Meanwhile, it has been said that the draft text of the comprehensive convention on Caspian Sea legal regime has been finalized in the last round of negotiations, so that this draft is scheduled to be signed by the presidents of the contracting parties in the next negotiation, which will be held in Mordad. In this regard, the Marine Times correspondent has conducted an interview with director of the International Institute of Khazar Sea Studies (IIKSS) Dr. Maysam Araee Daronkola. 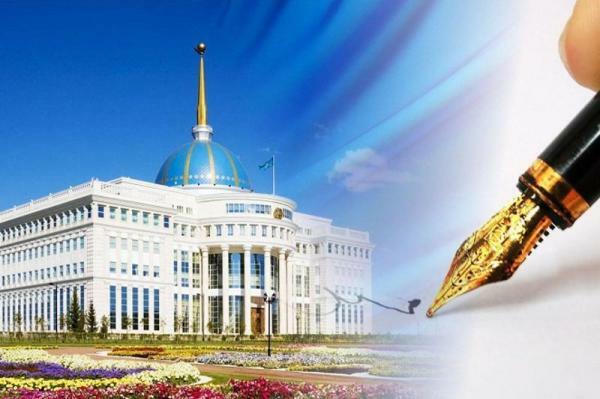 The director of the International Institute of Khazar Sea Studies (IIKSS) in this conversation has called on the president not to sign the draft quickly. MARINETIMES: When did take place the last round of negotiations on comprehensive legal regime of the Caspian Sea between the leaders of the five countries of the Caspian Sea and what were the results of these negotiations? Maysam Araee Daronkola: The last talks on the legal regime of the Caspian Sea were held at the level of foreign ministers in Moscow in Dey 1396. This meeting focused on finalizing the draft text of the comprehensive convention on Caspian Sea legal regime, which due to agreement between countries regarding the confidentiality of its contents, almost no detailed information on its content is available. 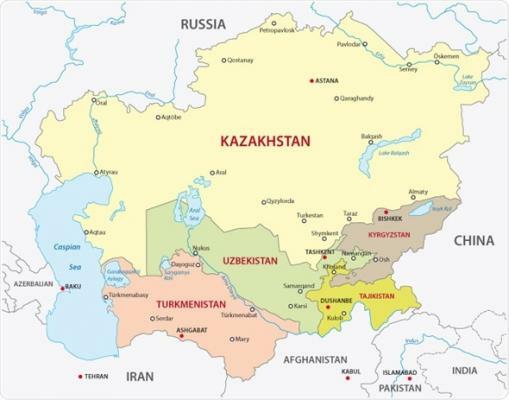 Because the treaty is scheduled to be signed by the presidents of the contracting parties in Mordad 1397 in Astana, Kazakhstan, but according to scattered hearings, the Caspian states have agreed on absence of foreign powers, the width of territorial sea and the fishery zone. Of course, there are serious criticisms about the nature and the reason for the existence of the fishery zone to which I will refer. Also, there are agreements on shipping, fight against terrorism and environment, that are reflected in the present treaty, but it should be noted that determining the precise location of the territorial sea, the issues related to exclusive and economic area (which are not apparently reflected in the current Convention) and the formula of determination of continental shelf boundaries (bed and seabed) are among important and controversial issues related to this matter that should be considered in the current Convention. Because field studies show that all countries separated from the Soviet Union, use Caspian continental shelf and it is only Iran, whose oil and gas resources are in disputed areas between Iran-Azerbaijan and Iran-Turkmenistan. So, if they reach the current regime, it will unlikely that they will have enough time and patience, as well as have vital interests in negotiating with us, and again sit at the negotiating table. 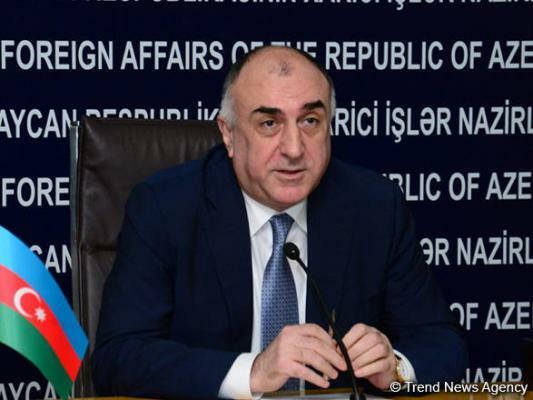 On the other hand, hearings about statements by Russian Foreign Ministry and Deputy Foreign Minister of Azerbaijan show that the current regime, which is scheduled to be signed in Mordad, may not contain good news for us. 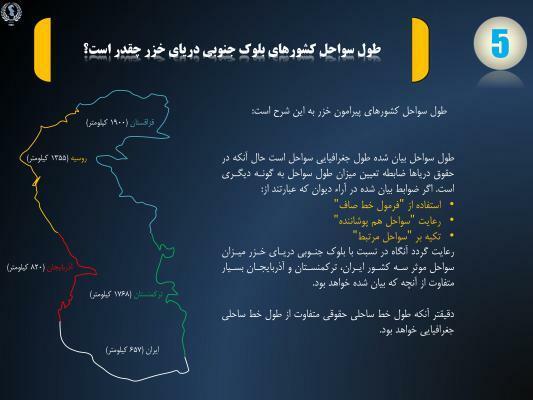 Of course, I emphasize that the draft text should be considered in order to overcome the doubts raised by the statements of Russian and Azerbaijani officials, since it must be ensured that the special situation of Iran, the advantages such as coastline length of Iran and Iran's population and the position of the Iranian historical gulf (Gulf of Mazandaran) and other things are considered. MARINETIMES: Has this draft been approved by all five coastal states? And were Iranian officials involved in writing and preparing this draft? Maysam Araee Daronkola: The Iranian slide has had an active participation in its preparation. Although it has been agreed that this draft will not be published, we should thank the efforts of Iranian slides. It seems that all parties have ignored the findings of modern international law regarding the delimitation of maritime areas and also determine the fishery zone of 10-mile width indicates that we have not done any precise studies on the special situation of Iran and the geomorphology of the Caspian Sea. Determining areas such as inland waters and waters of the Exclusive Economic Zone, as well as paying attention to the depth of water and relying on different fields of the equity principle should be included in the present treaty. Otherwise, as we said, the signing of the convention will not be good news for us. 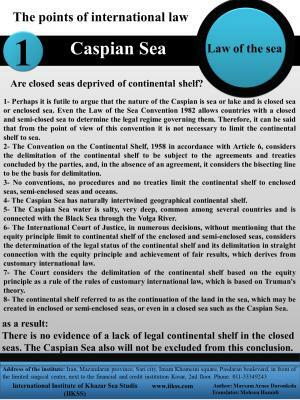 A specific formula should also be predicted for mechanisms for entry into force of the treaty, because if we ignore the international mechanisms for entry into force of the treaty (such as the exercise of jurisdiction by national courts or referral to international courts), as the Tehran Convention (Convention for the Protection of the Marine Environment of the Caspian Sea), what would be the effect of signing the present Convention? On the other hand, considering the conditions of sanctions and given that the parties have support from the West and Russia in the political arena, the question is whether we can guarantee our interests in the future. For example, can be referred to agreement between countries on the non-allocation of their port potentials and non-port capacities to foreign powers. 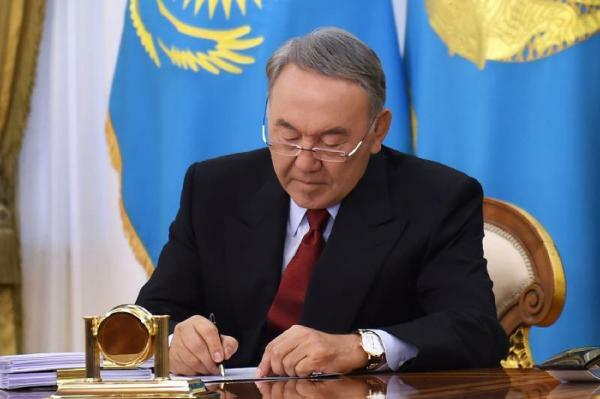 In this situation, what is the meaning of the signing of the agreement between Kazakhstan and the United States as the main enemy of Iran and Russia? 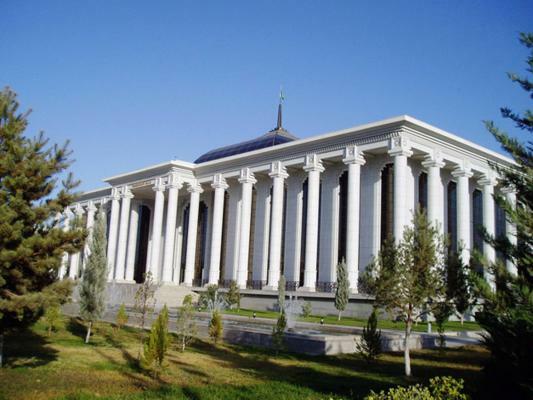 In the current situation, where Kazakhstan has agreed to be bridge for transfer of American equipment to Afghanistan, whether need for an obligatory mechanism in the present treaty doesn't seem necessary. On the other hand, it should be noted that during the past 50 years this treaty is the first treaty in which we seek to determine the boundaries. We must remember the experience of Arvandroud. In my opinion, the present treaty is professionally incomplete, and much work has to be done on it. It should be noted that the delimitation of marine areas is a technical and legal process that combines geometry, geography (anthropology and geology) and more importantly, law. 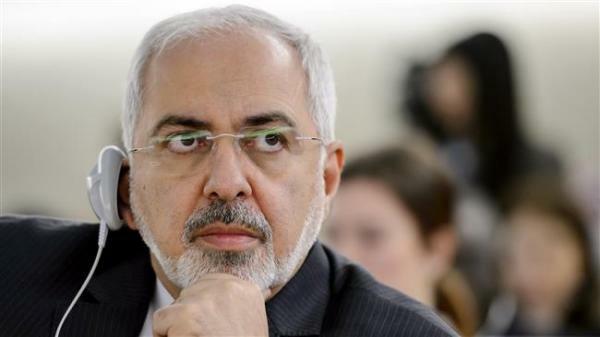 Information leaked from the Ministers of Foreign Affairs of Countries indicates that Iran's experts' sensitivities are not considered in principle or have not been taken into account. MARINETIMES: While announcing the default model, please tell how much is Iran's share of the Caspian Sea based on that model? 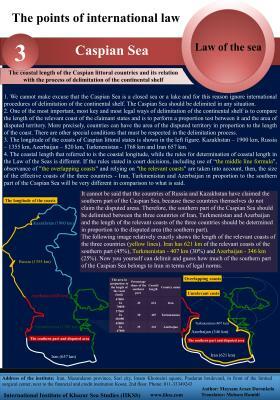 Before preparing this draft, it was said that Iran's actual share of the Caspian Sea is 13%. Maysam Araee Daronkola: After a period when was viewed emotionally to the Caspian Sea and Iran's share of this sea, Iran's political and social conditions are moving in the direction that we can say that our country is looking for a logical and technical view on this important issue. By developing legal concepts and rooting these concepts in the political discourse, we are moving in the direction that most experts are aware of the fact that this question, how much of the Caspian Sea is ours, is not basically correct and complete. Nowadays we know that seas and waters are categorized in diverse types due to the diversity of their use, and therefore issues related to water's surface are separated from issues related to depth of water or water column. 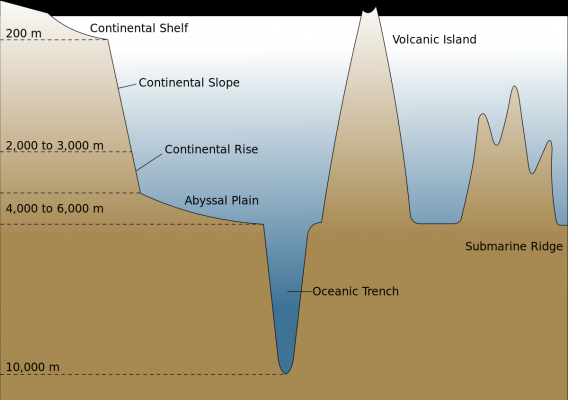 Also, rules and principles related to sea bed vary from depth to water's surface. Also, according to the proximity of the coast of a water area to the coast of a country, we see different legal foundations about water's surface at various distances. For this reason, the question of how much is Iran's share of the Caspian Sea, is a false question. In fact, we should ask how much of the water's surface is part of the territorial waters of Iran? Or how much water depth is part of the fishery zone of Iran? 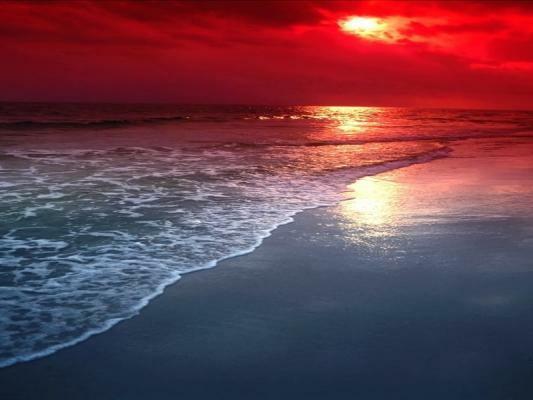 Or how much water depth or water column is part of the Exclusive Economic Zone of Iran? 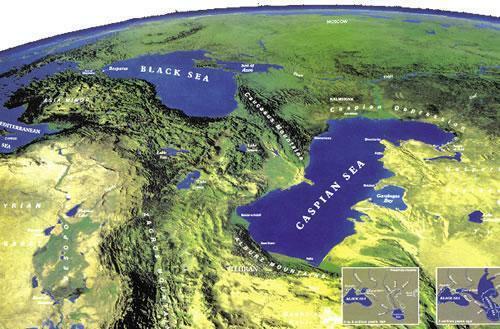 And more importantly, how much of the Caspian Sea bed and seabed is part of the continental shelf of Iran? 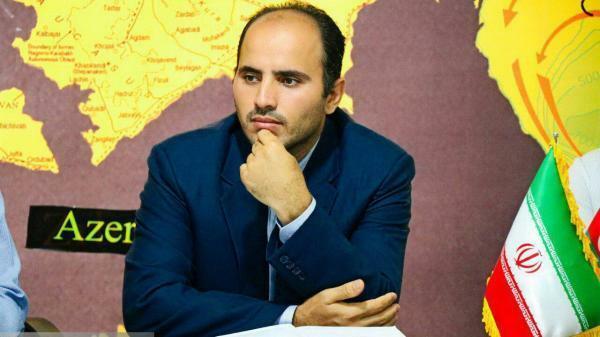 It needs to be explained that the process of negotiations and received news show that show that there is no disagreement over territorial waters and fishery zone in the Caspian Sea. Many security and environmental issues have also been resolved with the level of reasonable natural challenges. 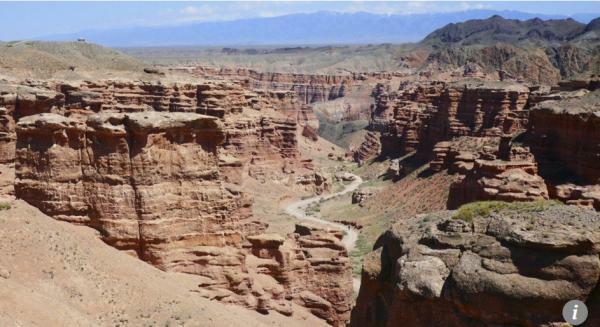 But at the moment, the legal regime of the bed and seabed, that is called the continental shelf is the key challenge of the Caspian littoral states. The same challenge lies around Exclusive Economic Zone and around exact location of the baseline of the territorial sea, which is the starting point for determining other marine areas. The importance of this line is also not limited to determining other areas beyond it, because this line, for the reason that the waters behind it are considered as internal waters of a country, is also important. 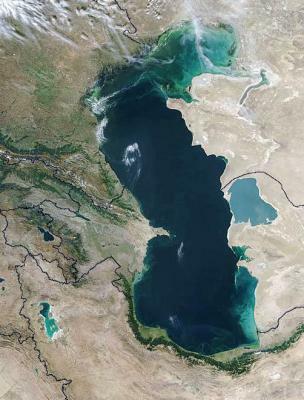 It should be noted that determining countries' share of the continental shelf and the Exclusive Economic Zone is one of the issues that essentially are related to neighboring or adjacent countries, and that the determination of these areas in the southern part of the Caspian Sea cannot be related to the determination of these areas in the northern countries of the Caspian Sea (including Russia and Kazakhstan). 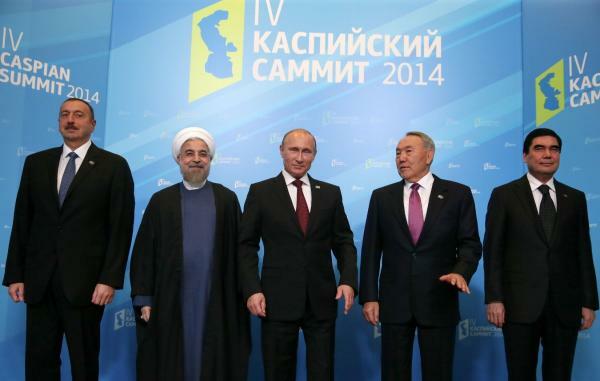 On the other hand, the determination of the share (delimitation) of Northern Caspian regions is not related to Iran. 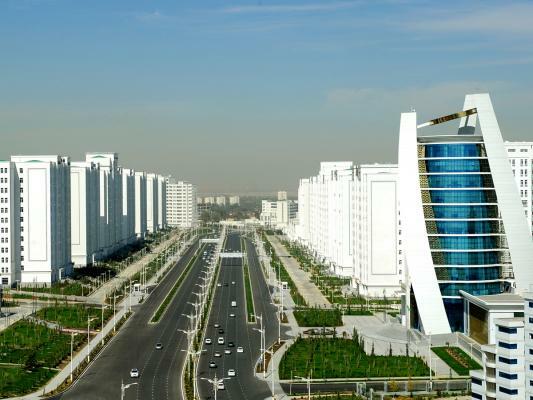 For this reason, bilateral negotiations (Iran-Azerbaijan, Iran-Turkmenistan) have to be conducted to resolve disputes regarding the delimitation between the countries in the southern part of the Caspian Sea and trilateral negotiations have to be conducted to determine three-point. 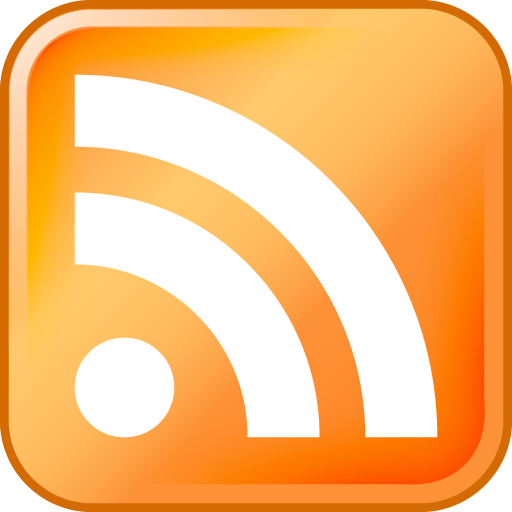 Thirdly, and most important of all, the continental shelf and the Exclusive Economic Zone are overlapping to each other in the modern legal regime. The Exclusive Economic Zone includes water's surface and water column and the continental shelf area includes bed and seabed. The current practice in the delimitation of these areas is such that the delimitation of these areas takes place with a multifunctional line. For this reason, the population factor which is related to the Exclusive Economic Zone, can also be considered in the process of delimitation of continental shelf. Because generally the population factor is not a special factor or circumstances associated with continental shelf, which is a geographic and geological factor. But determining the width of the fishery zone and the lack of determination of Exclusive Economic Zone not only ignore economic rights of marginalized people, it even makes it impossible to use the population factor in the delimitation of continental shelf. Because official statistics show that the marginalized population of Iran is more than more than twice the total marginalized population of Azerbaijan and Turkmenistan. MARINETIMES: When will the draft be approved and released? Maysam Araee Daronkola: Probably, if this draft is signed in Mordad 1397, it will also be published at the same time, because it should be submitted to the Parliaments of countries for approval. This legal procedure is foreseen in article 77 of our constitution, and therefore all treaties must be approved, therefore, all treaties must be approved in the same way. But it should be noted that when we refer to the process of ratification of international treaties, we see that these treaties before signing and ratifying, are released to the public, so that experts, NGOs and so on can express their expertise and critique. Unfortunately, we are not witnessing such a process in the present treaty, especially that the current treaty deals with the territory and the determination of border areas. MARINETIMES: According to this legal regime, how each of the Caspian's coastal countries exploit oil and gas resources, environment, fisheries, shipping and fishing in this sea? Maysam Araee Daronkola: The answer to this question requires accurate information from the text of the convention. I have not seen text of the convention and therefore I can comment on this. Because, as I said, the text of the convention is secret. 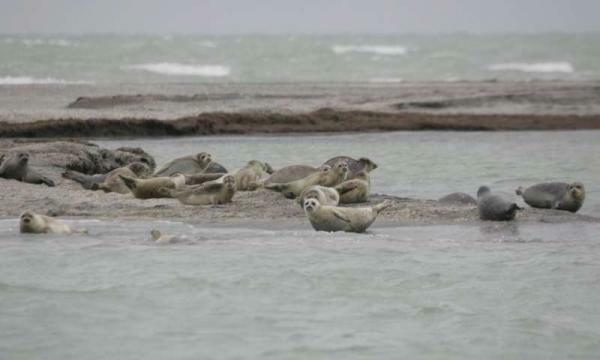 MARINETIMES: Are the tasks assigned to the five Caspian coastal states in this draft to protect the environment? Maysam Araee Daronkola: The commitment of countries to protect the Caspian environment should not be sought in the convention. 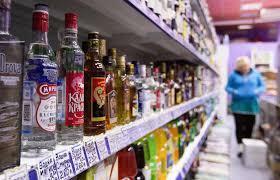 Of course, I would say that until the text of the Convention is not observed, it cannot be judged decisively. 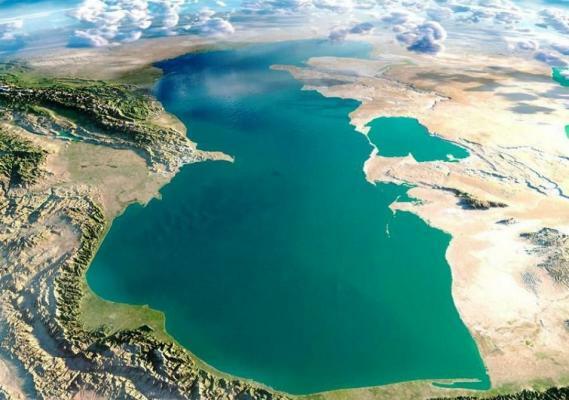 However, it seems that, with regard to the ratification and entry into force of the Tehran Convention for the Protection of the Marine Environment of the Caspian Sea, it is not necessary to repeat it in the present Convention. That convention also has a key weakness in mechanism for entry into force. The mechanism for entry into force of the treaty includes periodic reporting, establishment of a legal or quasi-legal dispute resolution body, creation of jurisdiction for national courts and also methods for resolving the issue through international dispute resolution mechanisms. Since these mechanisms are very poorly created in the Tehran Convention (which can be caused by resistance of the member states), the Tehran Convention can be considered as a moral code of conduct. MARINETIMES: How many percentages of Iran's demands have been realized in this draft? Maysam Araee Daronkola: The answer to this question also requires that the text of the convention be read. But I am sure that the Iranian side was and is seeking Iran's interests with the necessary sensitivities, but with the knowledge that I have from the circles of experts in country and according to the news published by news agencies, I am worried that Iran's interests are not well guaranteed due to lack of mastery over the issues of delimitation of the maritime areas (From the point of view of international law). MARINETIMES: What do you want the government as an NGO? Maysam Araee Daronkola: We want this: "It's too early, do not sign," that's it. According to the expertise I have in the area of delimitation of the maritime area, as well as the consultations that I have with other researchers in this area, and most importantly, according to the knowledge that I have about weak academic potentials of the country in this area, I would recommend signing this document now is a bit hasty now. The reason for my claim is that so far, no book or article in Persian has been published regarding the delimitation of the maritime areas, as well as, I have not heard or learned about these discussions from my professors in high universities and in high levels of country. This is a painful fact that led to that our institute profoundly enter this field and put its research in the hands of academic and non-academic circles. 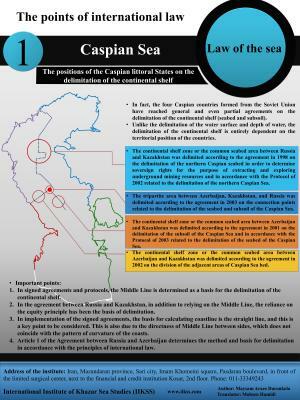 Therefore, given the wide range of technical and specialized information of our institution, I say that the hearings indicate that the Caspian Sea legal regime has serious variances with the achievements of modern international law in the field of the law of the sea and delimitation of the maritime area. Studies show that the use of modern international law principles, including the equity principle, can be in the interest of Iran in Caspian Sea and Persian Gulf.